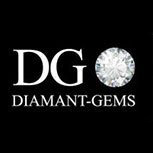 We can make your custom-made engagement ring with a diamond or a coloured gemstone. Our diamond solitaires are created in bespoke designs. We are here to advise you on your choice of stone (diamond, sapphire, ruby or emerald) and create the engagement ring that matches perfectly to your personal taste. The brilliant-cut diamond diamondrepresents eternity. The brilliant cut is considered the perfect cut because it gives the diamond its best sparkle (maximum brilliance). The princess-cut diamond is a mixed cut which blends elements of rectangular cuts (emerald, radiant, etc.) with some characteristics of round cuts. Because it combines the sparkle and brilliance of round-cut diamonds with the stylishness of rectangular cuts, the princess-cut diamond has become one of the most fashionable shapes for engagement rings after the brilliant cut. The oval-cut diamond is quite similar to the round-cut diamond but is rarer and slightly less conventional. The pear-cut diamond is the only shapestill available with a tapered point at one end. These diamonds tend to be more fragile than round ones and it can be difficult to cut the pointed ends without chipping the surface. However, pear-shaped diamonds can bring unique beauty and elegance to an engagement ring. The cushion-cut diamond is one of the oldest shapes. By nature, the cushion-cut diamond is not as brilliant as the other modern cuts, but it still wins a place in the hearts of diamond lovers because its distinctive vintage appearance creates an engagement ring with a touch of art deco. The radiant-cut diamond combines the elegance of rectangular cuts with the sparkle and brilliance of round cuts. The most obvious difference from the princess cut is that the radiant cut has cropped edges instead of pointed ones. The heart-cut diamond represents eternal love. The heart shapebrings a romantic touch to the engagement ring. The emerald and asscher cut diamond convey a sense of calm, purity and elegance. The emerald-cut diamond has the longest facets of all the diamond shapes. As a result, the clarity of the stone needs to be accentuated more than it does for the other shapes. The refined touch of the emerald cut is very popular for engagement rings. We also make wedding rings. All diamonds chosen for wedding and engagement rings are graded “Very Good” or “Excellent”. 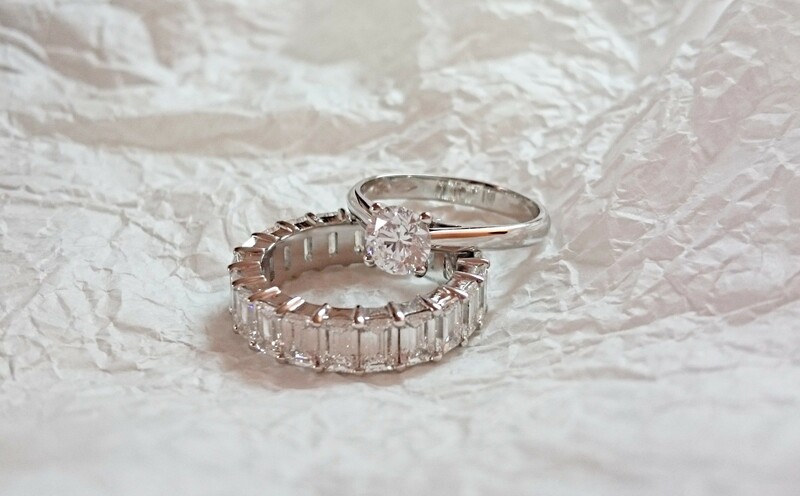 We aim to give your diamond wedding ring the best sparkle possible. We will help you to choose the style of the wedding ring and the colour and clarity of the diamonds. We are happy to make an appointment for you to visit us in Paris or Antwerp.